Get better mobility over uneven ice and snow. Easily attach your sled to a snowmobile or ATV with this Eskimo Sled Hitch. 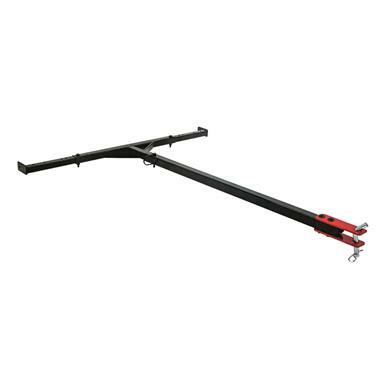 The Tow Hitch attaches to the sides of your sled and pivots up and down for smoother travel over uneven terrain. The universal size fits sled widths ranging from 19"-32". All mounting hardware included. Fits ice shelter sleds with widths of 19", 21.5" , 26.5", 28" and 32"